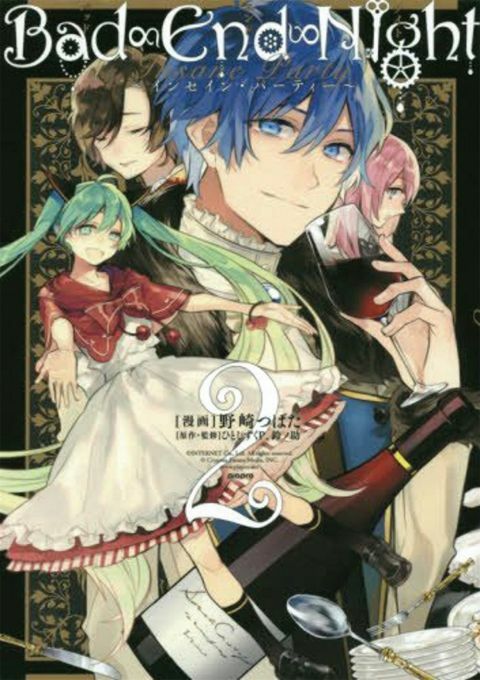 Hatsune Miku: Bad End Night is a new manga series featuring the popular Hatsune Miku, following the popular vocaloid here as an up-and-coming actress who finds herself in a web of mystery when entering the "world of stage". She is joined by many familiar vocaloid faces, including fan-favorite twins, Len and Ren Kagamine. story for any reader. Each individual volume will be presented in a deluxe trim size. Hatsune Miku is a young woman seeking to become an actress. Although she's finally gotten her chance, everything is thrown upside down when she finds herself hurled into the "world of stage" within a strange mansion. There she meets seven mysterious, and potentially dangerous, characters. Although each comes with their own secrets, they almost all have one thing in common--find the stolen script pages, or be trapped in this false world forever!